Welcome to the dental practice of Wesley R. Davis, DDS. For over 30 years, Dr. Davis and our dedicated team of professionals have been proudly serving families in Hershey, Hummelstown, Palmyra, Elizabethtown, Lebanon, and surrounding areas with dental care that exceeds expectations. Our skill and expertise allow us to serve patients of all ages, from toddlers to the most senior members of your family. Dr. Davis’ experience provides him with the in-depth knowledge necessary to offer our patients a wide range of routine dental services as well as advanced services like dental implantology. He invests many hours in continuing education and advanced training to bring you the most updated dental treatments available. Our practice combines state-of-the-art technology with old-fashioned treatment by friendly professionals who truly care about your well-being. While we believe in embracing technology when it benefits our patients, we haven’t lost sight of what’s really important – getting to know you individually to develop a long-term trusting relationship. This approach is the best way we know to make sure that every one of our patients receives the care that best fits all their unique needs. We understand that many people dislike dental visits and may even be tempted to put off treatment because of dental anxiety. The friendly team at our Hershey dental office has decades of experience in treating patients who feel exactly the same way you do. 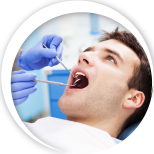 We always listen to your concerns so we can tailor your treatment accordingly. Our warm and inviting environment sets the stage for a comfortable experience from the moment you first arrive. From our homey, comfortable décor to special touches like complimentary coffee and water, we make sure every aspect of your dental experience exceeds your expectations for comfort, professionalism, and compassionate, friendly care. 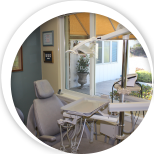 Our soft-touch dentistry and low-stress environment make each visit comfortable and easy. We are not only experienced professionals, but also upbeat, positive people who are dedicated to providing you with the personalized, gentle care you deserve. Are you ready to take control of your own oral health care by finding a provider who truly has your best interest at heart? Whether you'd like to see us for a complimentary consultation or need a second opinion about a particular procedure you're considering, we're here to help. 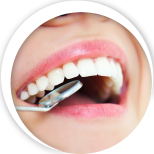 Please call our Hershey dental office, and we’ll be happy to arrange a convenient appointment so you can learn more about our unique approach to dental care. 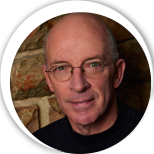 ""Moving to the Hershey area in 2005, I was referred by a work colleague to the practice of Dr. Wesley Davis, D.D.S. My wife, two sons and I were happy ..."